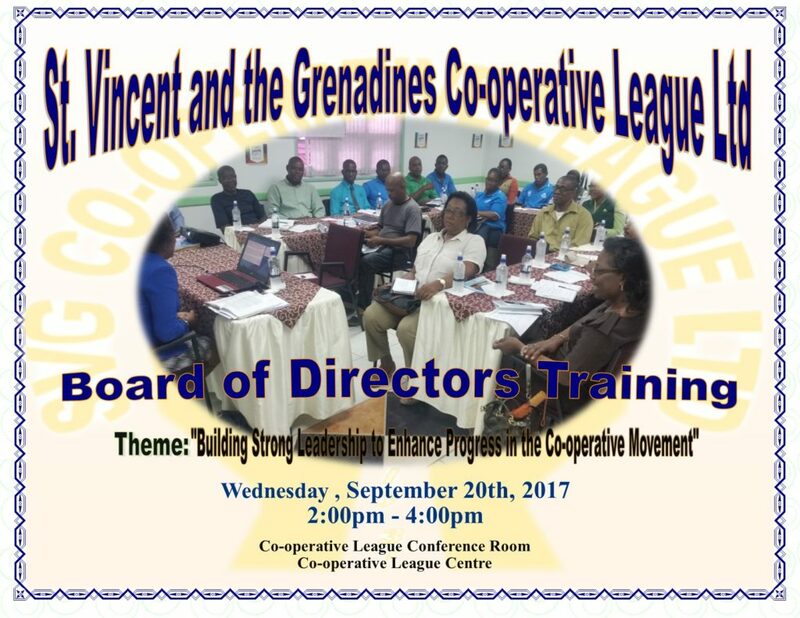 The SVG Co-operative League will conduct a training session for new and existing members of the Board of Directors of credit unions/co-operatives to foster better understanding of their “Roles and Responsibilities. 3) To strengthen and develop new skills and techniques required to more effectively perform the duties of Directors. 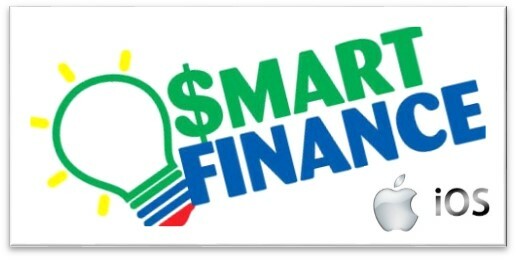 This training session is scheduled to be held on Wednesday, September 20, 2017 from 2:00 pm to 4:00 pm at the SVG Co-operative League’s Conference Room, Lower Kingstown Park and will be facilitated by a representative from the Financial Services Authority (FSA). 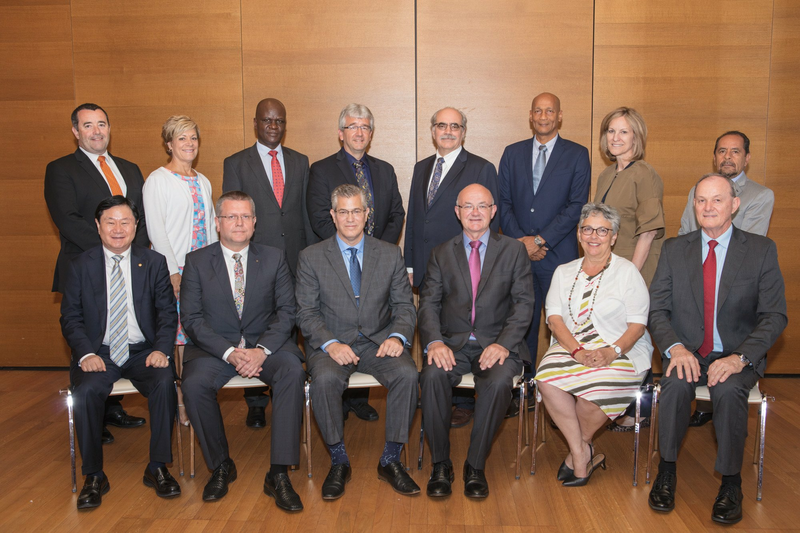 (Standing from left) Mark Degotardi, Carla Altepeter, George Ototo, Kevin Sitka, Brian Branch (World Council president and CEO), Aaron Moses, Martha Durdin, Jaime Chavez Suarez and Dallas Bergl (not pictured). 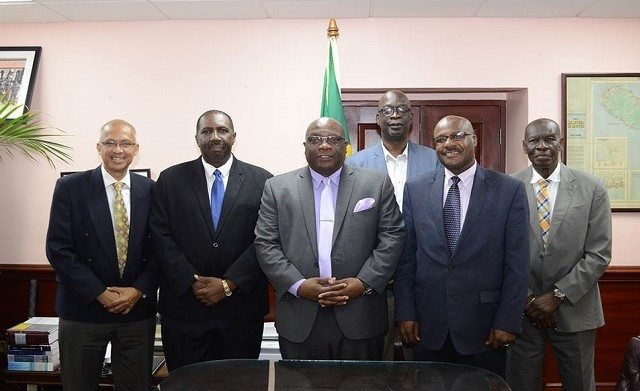 Caribbean Confederation of Credit Unions expresses its willingness to work closer with the government of St. Kitts and Nevis. BASSETERRE, St. Kitts, July 14, 2017 (Press Unit in the Office of the Prime Minister) – The new Executive Body of the Board of Directors of the Caribbean Confederation of Credit Unions (CCCU) has demonstrated its willingness to work closer with the Government of St. Kitts and Nevis in a number of areas that will redound to the benefit of the people of the Federation. The Honourable Prime Minister Harris in turn expressed his appreciation to the Board on its decision to retain its headquarters in St. Kitts. “We are prepared as a Government to do what we can to ensure that the environment is the best one that you could have anywhere in the region. I want to say thank you for choosing St. Kitts and Nevis to play this very important role and we would hope and envisage that as a result of your presence here more could be done for the development of the cooperatives sector in St. Kitts and Nevis and by extension within the OECS region,” Dr. Harris continued. It is expected that the new facility will house the CCCU’S administrative offices, a credit union museum and conference facilities. 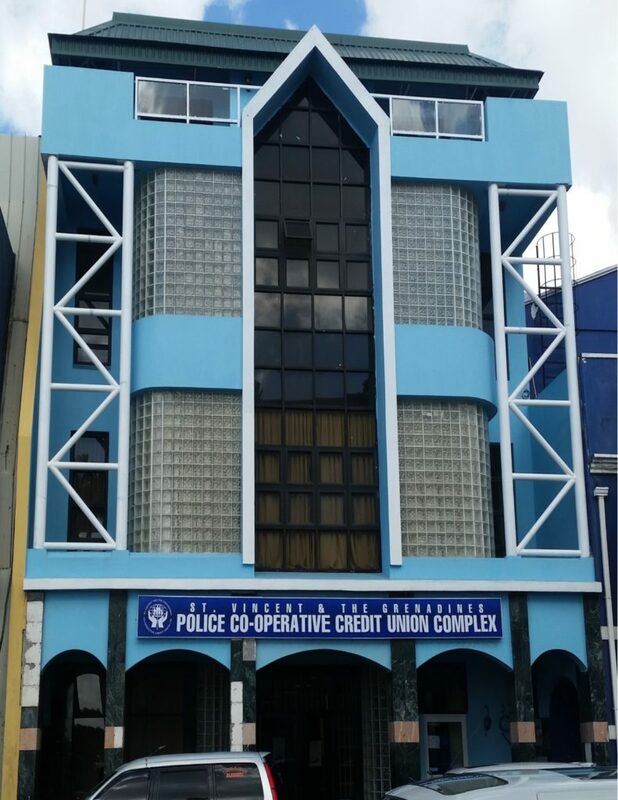 On Saturday January 28, 2017, the St. Vincent and the Grenadines Police Co-operative Credit Union (SVGPCCU) officially moved to its own home – the SVG Police Co-operative Credit Union Complex. The credit union was housed at the Police Headquarters since its inception in 2003. In his remarks, Bro. William Harry, the Founding Father of the (SVGPCCU) passionately revealed that hard work, pain, frustration and determination were some of the stepping stones to the realization of the credit union’s goals. Remarks were also delivered by Mr. Cecil Jackson, Registrar of Cooperatives; Bro. Lennox Bowman, Director of the Caribbean Confederation of Credit Unions (CCCU) and Chief Executive Officer of GECCU; Bro. Dwight Lewis, President of the SVG Co-operative League and Bro. Junior Simmons, President of SVGPCCU. Mrs. Seymonde Mulcaire, the Manager of SVGPCCU reported on the progress of the credit union from when it commenced operations in 2003 with a membership of three hundred and thirty (330) and five hundred and fifteen thousand dollars ($515,000) in assets. Comparatively the current membership is two thousand one hundred and sixty-four (2,164) and the assets of SVGPCCU exceeds eleven million dollars ($11 million). The Feature Address was delivered by Prime Minister, Dr. the Hon. Ralph E. Gonsalves, Min. of Finance and National Security. The ceremony culminated with the cutting of the ribbon and a tour of the building.